Exercise Training from the Best of the Best! Josh Bridges was an extremely competitive youth who excelled at sports, so it was no surprise that after his collegiate wrestling days that he would be drawn to CrossFit. CrossFit’s extremely rigorous Workouts of the Day (WODs), combined with its inherent competitive aspects resulted in Josh getting in the best physical shape of his life. In 2007 he sought out the ultimate challenge of physical and mental toughness—the Navy SEAL program and out of 320 enlistees, was one of the 37 who completed the training. During his enlistment in the Navy, he kept up with his CrossFit conditioning and shocked the CrossFit world by placing 2nd overall in his debut in the 2011 CrossFit Games. He missed the 2012 CrossFit Games when he dislocated his knee and tore his PCL MCL and meniscus, but bounced back with brilliance, finishing 7th in 2013 and 4th in 2014. 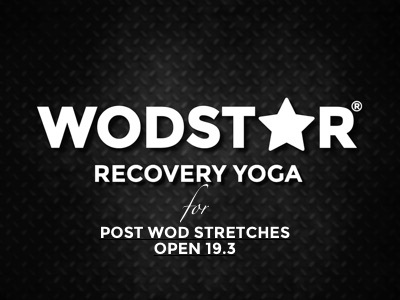 In a Wodstar exclusive, we are proud to be the home of three fitness program series written by Josh Bridges, each to help you WAKE UP A LITTLE BIT FITTER and, oh yeah…REACH ELITE LEVELS OF FITNESS. These two programs capitalize on the training and experience Josh has accumulated over his years preparing for BUD/s and serving in the Navy SEAL program and his ongoing pursuit to become the Fittest Man on Earth by winning the CrossFit Games. Individuals can purchase this fitness programming or gyms or groups can purchase this on behalf of their members. Josh used CrossFit as his means to prepare for the physical and mental challenges of the Navy SEAL program and is introducing a new program for Military, Law Enforcement and Firefighters to help them in their pursuit. If your job or activities require you to be at the peak of physical conditioning, this program is for you. Josh translates this training into a program that you can take any place, any time, with equipment that you can find in any gym, so you are not limited if you do not have access to a CrossFit facility. There are also suggested substitutions if you are missing a piece of equipment or apparatus. J If you want to be your best, you need to train like the best. If you want intensity and to reach the highest levels of athleticism and fitness, this program is for you.